It is expected that The Walking Dead season nine will be the last we see of Rick Grimes. 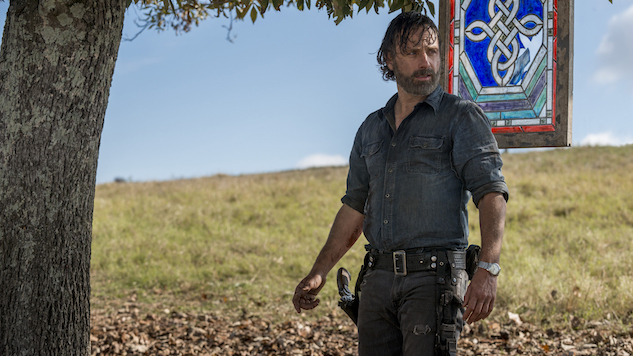 While it is unknown how or when the leader of the Grimes Gang will exit the show, lead actor Andrew Lincoln is said to be leaving the hit AMC series ahead of the ninth season’s finale, per a Collider report. Rick is one of just a few characters remaining who have been featured in the show since the early seasons, and according to Collider and other reports, that number will continue to grow smaller as Lauren Cohan’s—whose ABC pilot has just been ordered to series—current contract only brings her back for six episodes of season nine and Black Panther star Danai Gurira’s contract is also nearing its end. It is reported that Norman Reedus will take Lincoln’s place as the show’s lead as fan favorite Daryl Dixon, so … lemons to lemonade? Revisit our review of The Walking Dead’s season eight finale here.